Frame your photos with Photo Frame Studio software for digital photos .Photo Frame is an easy scrapbooking software. 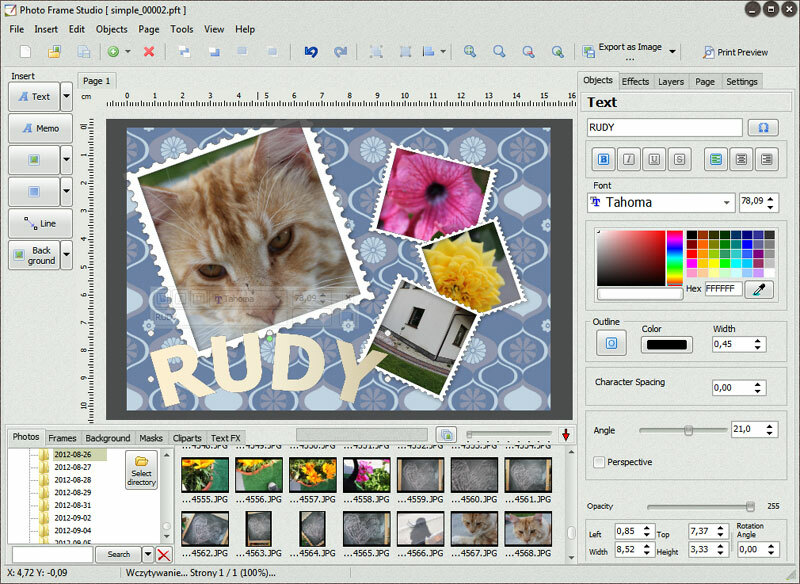 Photo Frame Studio is an easy scrapbooking software. 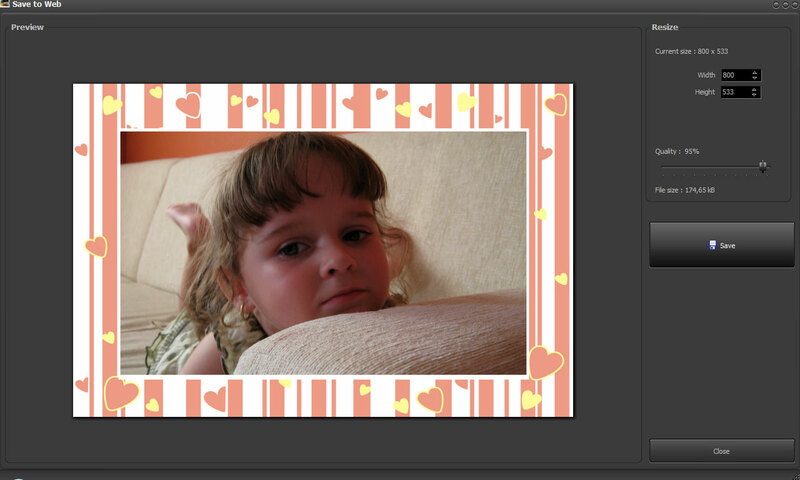 Photo Frame is an easy scrapbooking software. Photo Frame Studio is a tool that adds frames to photos which provides more than 200 beautiful frames and mask effects that can be applied to photos. 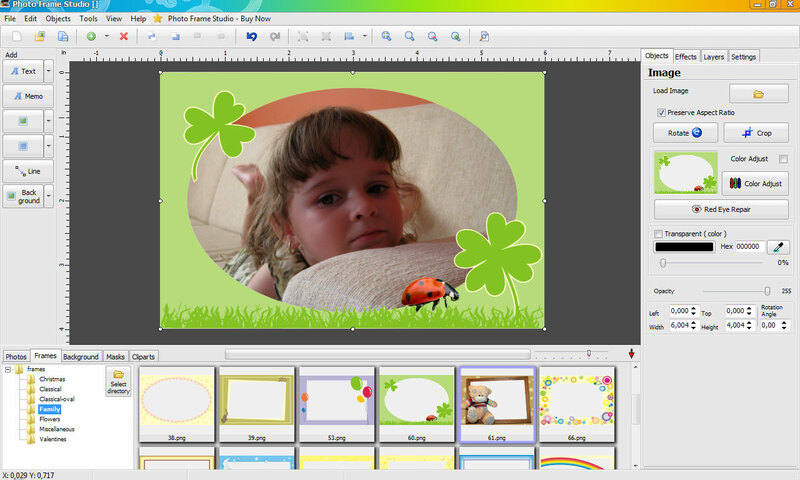 Program PHOTO FRAME STUDIO has been designed to edit and decorate digital photographies. Thanks to the program each picture will look different and operating our program will be a real pleasure for you. We offer over 200 frames and what is more, every one of them can be modified by the options which are contained in our program. The interface of the program is user-friendly and it has been designed in such a way that evryone can operate it without any problems. You can decorate your picture using a few instructions by means of adding to it a frame, a mask, the background, a shade or a text. Using all these functions and effects and taking into account the fact that we can use all the options simultaneously including the change of colour of each layer, the change of saturation and contrast, you can undoubtedly claim that each picture will be different. You can also design your own composition . It can be done thanks to the tools which enable us to add various elements such as figures clip-parts or striking texts. You can also calibrate pictures, so you can cut them, zoom to the view that suits you and get rid of the red-eye effect. Thanks to the program you can print pictures using your printer as well as you can save ready photos in high quality mode in order to send them to photo-labs. Moreover, you can also save pictures in lower quality mode so that they can be published in the internet. All our products can be securely ordered online, by telephone or fax. We use ShareIt Registration services, which is a well-known companies for online money transfer, to process your order. Please make sure to include a valid e-mail address with your order. Do not use unreliable or temporary e-mail addresses to avoid problems in the future! All updates, license key, etc will be sent to your registration e-mail. (delivery: license key sent by email) 19.95 USD Buy Now! Photo Frame Studio was tested by SOFTPEDIA service It received a certificate ensuring that it is 100% free of viruses, spyware, and adware. Soft32 guarantees that on the date of test, Photo Frame Studio was found 100% CLEAN, which means that does not contain any form of malware (spyware, viruses, trojans and backdoors).